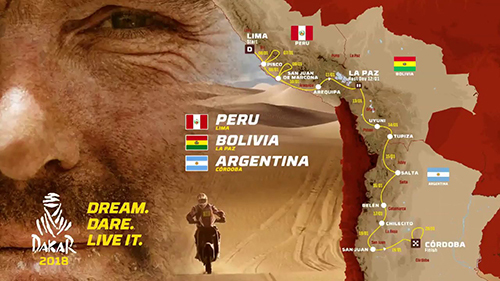 Another long day greeted competitors during Stage 5 of the Dakar Rally 2018, with a 508km journey to Arequipa and a 266km Special through miles of sand dunes around Tanaka on the rally's last day in Peru. Overall leader and defending champion, Stéphane Peterhansel, drove his Peugeot to a first stage victory of 2018. 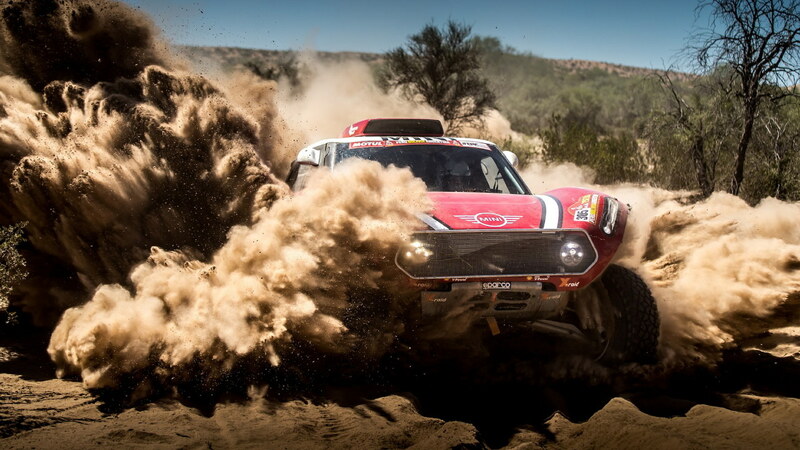 Second place went to Toyota's Bernhard ten Brinke, who finished almost five minutes behind Monsieur Dakar, while 2009 winner, South African Giniel de Villiers, finished 12 minutes behind in his Toyota. Carlos Sainz finished in fourth position and now sits in second place overall, although some 31 minutes behind Peterhansel. There was frustration for Sébastien Loeb, however. After a brilliant run to a stage victory yesterday, the Frenchman crashed out after driving into a sinkhole. The sweeper truck pulled his Peugeot out of the loose sand, but co-driver Daniel Elena suffered an injury in the incident, leaving the duo unable to continue. 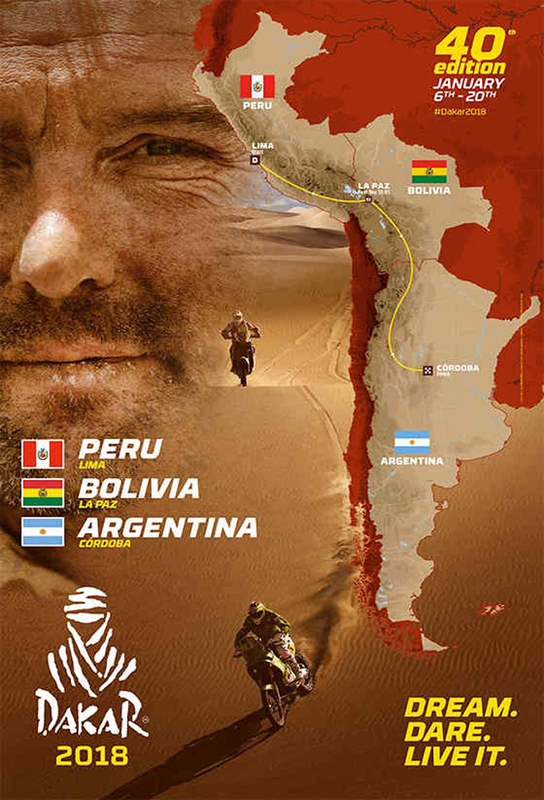 Barreda Dominates Dakar Stage 5 To Move Up To 4th Overall. Barreda has now won his second 2018 Dakar stage, making his total number of Dakar stage wins 21. The 266km Special Stage for the bikes started from inland San Juan de Marcona, climbing through mountains and returning to the coastline. Early parts of the route had fesh-fesh, a powdered type of dirt which is soft and slippery and also very dusty, making it a demanding route for the riders, and in the latter southern part of the course which led inland, the riders were facing the Tanaka Desert and endless dunes again. With elevation, the riders had truly experienced a day full of ups and downs over a variety of terrain. Kevin Benavides completed this stage in 12 minutes 20 seconds placing him 3rd. He climbed up to 2nd overall, closing the gap to the top from 3 minutes 15 seconds to a narrow 1 minute, and has the leader within his sights.